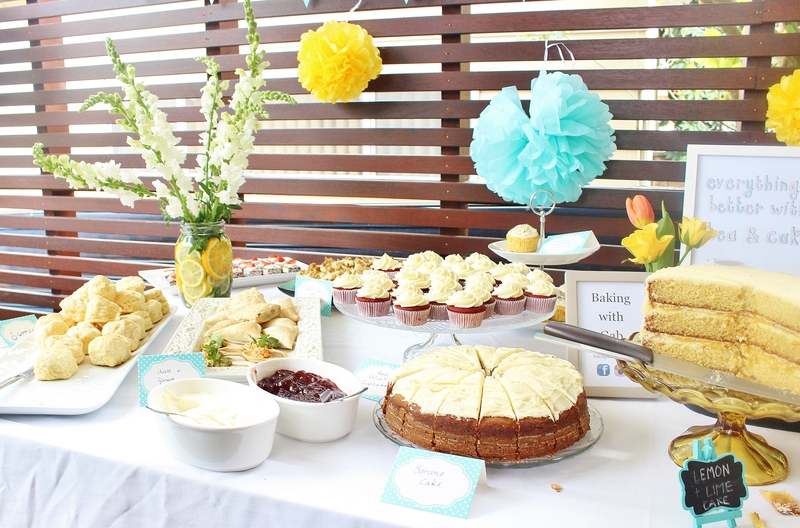 A friend and her mum held a morning tea yesterday. 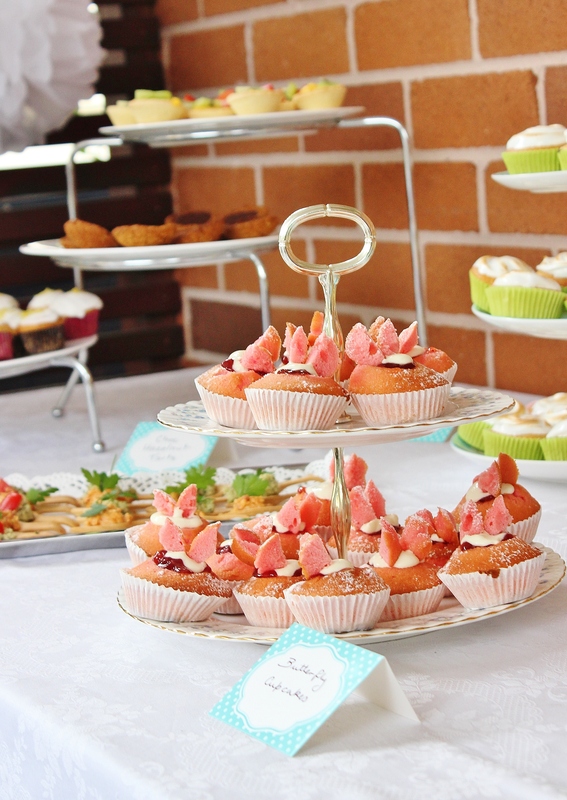 Not just any morning tea, it was Australia’s Biggest Morning Tea. For those of you unfamiliar with the concept, it’s a cute idea initiated by the Cancer Council to help raise money to beat Cancer. You make some cakes/pastries/other delicious things, you invite your friends to do the same thing and you get together and eat, laugh and chat, then leave a little money behind to go towards a great cause. It’s a great excuse to go all out on decorations and use your best tea cups. The fabulous event I attended raised almost $2,000 for the cause, and it was ridiculously cute; everybody wins! The theme was yellow, hence the citrusy approach, and I’m so glad I made it; I forget how much I love super tart curd! 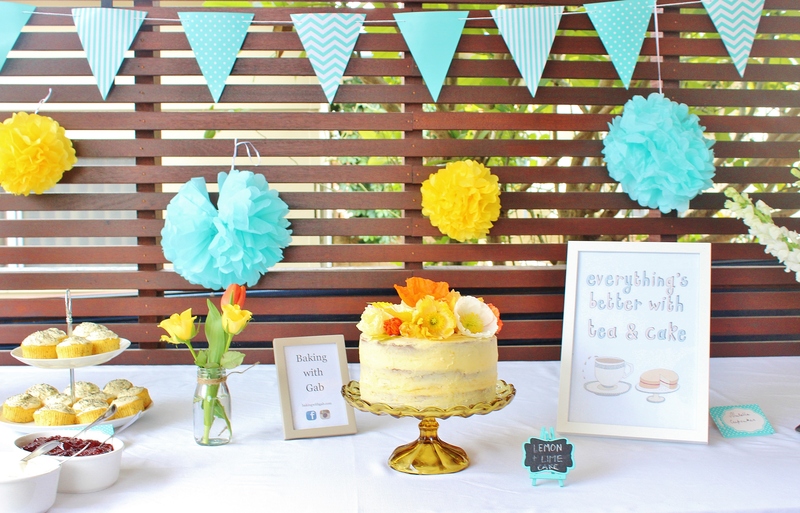 You can register to hold your own morning tea (or just donate) here. It’s so much fun, and such a great cause, I highly recommend it. Grease three 8 inch baking tins and line the bases with a circle of baking paper. Cream together your butter and sugar on a medium speed until pale. Add in 2 of the eggs, mix, then add in the remaining 3. Sift in your flour, one cup at a time, then the bicarb. Slowly pour in the milk and mix. Finally, mix in the vanilla and the lemon zest. Distribute your batter evenly across the three baking tins and pop them in the oven for 30-35 minutes, rotating them at about 15 minutes. Once the cakes are done, allow them to cool for five minutes before turning out onto cooling racks. Allow to cool completely. Pop in the fridge for at least 15 minutes. While the cakes are cooling, make a start on your lime curd by zesting one of your limes and juicing both of them. I was kindly given someone’s last limes of the season, which is why it’s very yellow! Put the juice, zest, sugar and butter into a pan over medium heat and stir until the butter has melted. Whisk the egg yolks together, then add the egg mixture to the lime mixture. Turn the heat up to high and allow it bubble quite fiercely. Whisk it for about five minutes (making sure it doesn’t burn) until it starts to thicken. Remove from the heat and set aside to cool completely. Don’t worry, it will thicken up further as it cools. Make a start on your icing sugar while the lime curd is cooling. Beat together your butter, vanilla and one cup of icing sugar using the paddle attachment. Start of slowly so that your icing sugar doesn’t go everywhere, then turn it up to fast. Whip for about a minute, so that you get a nice pale yellow buttercream. Add in the milk as you go so that the mixture isn’t too dry. Add in the next cup of icing sugar and repeat; start of slowly, then turn up to high until it’s pale. Do this with each cup of icing sugar to get the whitest, creamiest icing. The high-speed whipping gets lots of air into the mixture, while the slow addition of icing sugar gets you fabulous, smooth icing. Once your cakes have cooled completely, grab a bread knife and slice off a small amount of each of the tops, so that the tops are level. 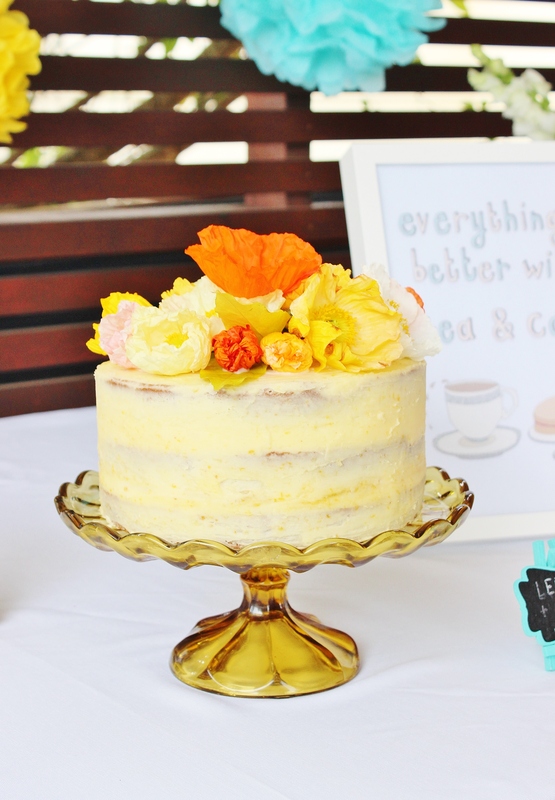 Grab your plate or cake stand and put a dab of icing in the centre, then press your first cake layer onto it. Grab three long rectangles of baking paper and slide them under your cake so that they make a triangle. This will stop your icing from getting all over the plate. 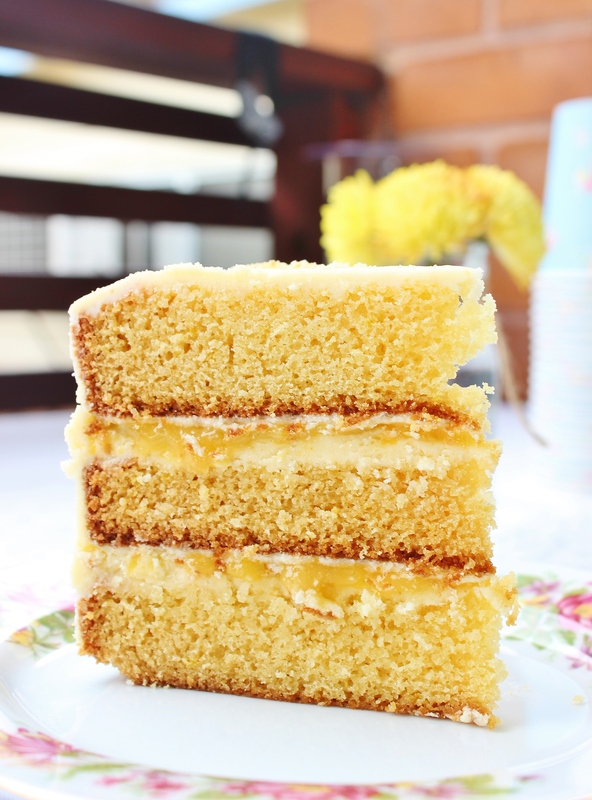 Use a spatula or pallet knife to spread the top of this layer with a layer of butter cream, then create a thicker layer of icing towards the outside – think of it like a wall, to keep the lime curd in. Spoon half of your lime curd in and spread it around the middle of the cake. Grab your next layer of cake and spread a really thin layer of buttercream on the bottom, just to stop the curd seeping into the cake. Press this layer down on top of the first layer, giving it a gentle push all around when you do so. Spread a layer of buttercream on the top of the next layer, create an icing “wall” around the outside, then spoon the remaining curd on top. Grab your next layer of cake and spread a thin layer of icing on it, then pop it on top of the cake, pressing down when you do so. Use the icing that has squished out of the edges to make a crumb coat – a really thin layer of icing on the cake, including the top. It doesn’t have to be perfect, so don’t worry about it. If your layers are looking a little but wonky, fix them now! Pop it in the fridge for 15 minutes to harden up. Grab the cake from the fridge and spread it with the remaining icing and smooth out any of the imperfections in the crumb coat. You may also wish to fill a cup with near-boiling water and dip your spatula/palette knife in it, then run it over the icing to smooth it out. Return to the fridge for at least 30 minutes. Remove from the fridge when you’re ready to serve it. While the cake is resting in the fridge, some of the curd may come oozing out the sides – don’t worry, embrace it, this just makes it even more delicious! 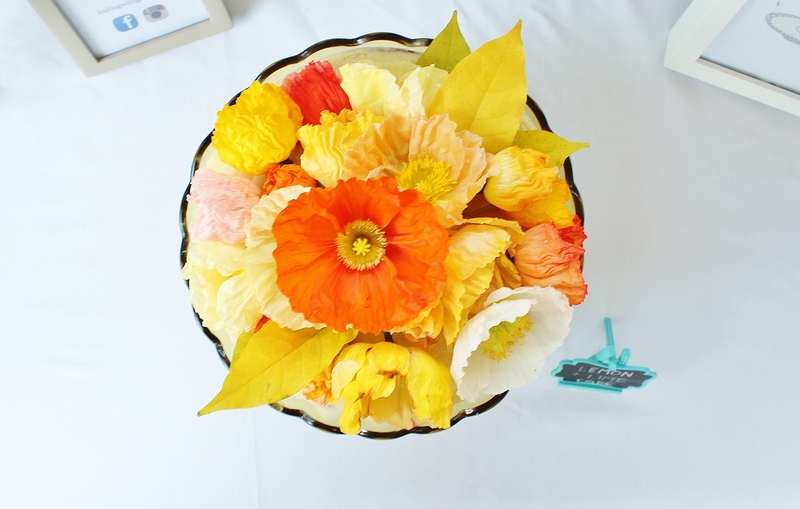 If you want to decorate with flowers (which I definitely think you should) check out my tutorial, here. Ps here are some more morning tea pictures, just in case you weren’t jealous enough already! Wow, this cake looks perfect! 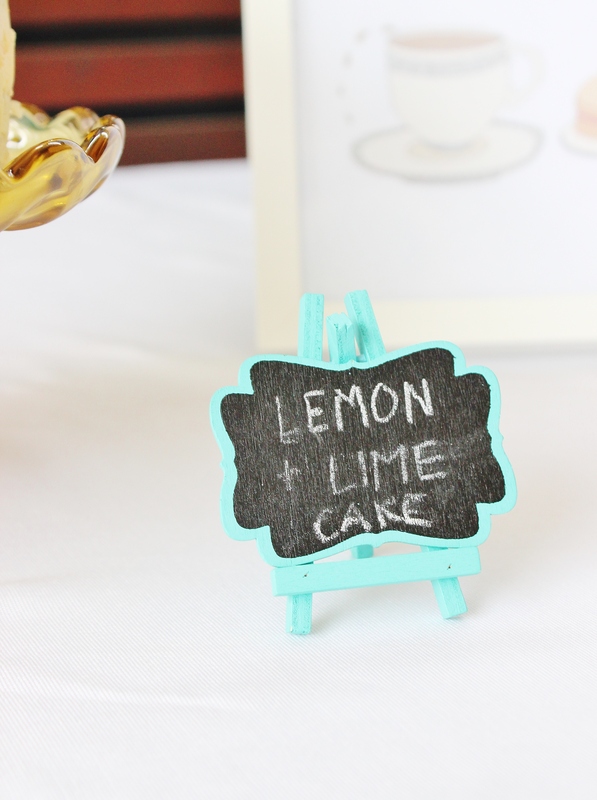 I love the taste of lemon in baked goods! Thanks Cathleen 🙂 I love lemon in baked goods too! Loving the look of your cakes at the moment! Especially with the use of flowers- so pretty! Your pictures (and sweets) are soo beautiful! What camera/setting do you use if you don’t mind me asking? Gotta bake me one of those. i am making this cake tonight – had a couple of problems with my oven settings and cooking the cakes properly, and due to the extremely cold weather my icing has set. But i am troubleshooting these, and what i have smelt and tasted so far is promising. i will update you with the finished product tomorrow – hoping to get the icing process correct. That’s wonderful to hear!! Thanks so much for making it 🙂 looking forward to hearing how it goes!